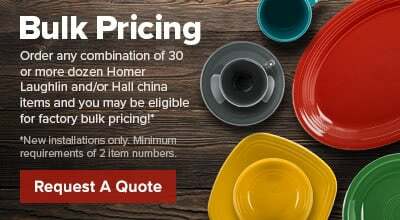 This Homer Laughlin 1430-0146 3.5 oz. 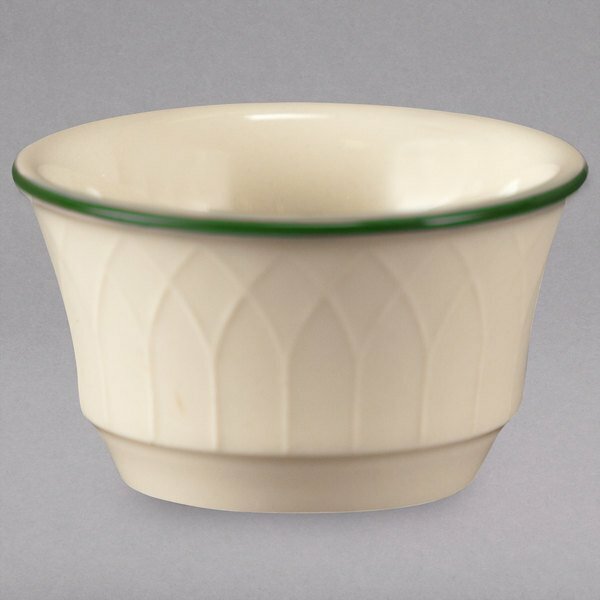 Green Jade Gothic off white ramekin is perfect for filling with sauces, dressings, and whipped butter to complement your most popular appetizers, entrees, sides, and desserts. By combining traditional Gothic design with a chic green variation, this ramekin brings an elegant style to any table setting. Its intricate lattice sculpting features a pointed-arch pattern from the top of its rim to its base, while a fine, shimmering green ring traces the upper rim.